El Take it Easy isn’t exactly one of the must-go-to beer venue in San Diego, but they might just be a must-go-to lager venue. This Wednesday, October 27th they’ll be doing a Bavarian Beer flight with Mark Gerlach of Uplifters Spirits. They’ll have flights of Reutberger Helles, Reutberger Josefi-Bock, Hopf Weisse, and Schoenramer Gold for $10. I can’t comment on any of these beers as I haven’t tasted any of them (yet), but they all get good marks on Beeradvocate and Ratebeer. Read all the details at The Farm and the City, the blog of The Linkery and El Take it Easy. Tomorrow is July 30th, which means it’s time again for 30th on 30th, the monthly event celebrating all of the wonderful restaurants and bars on 30th Street. 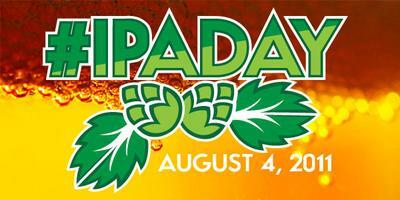 Each month participating bars and restaurants have specials on food or beer (or both! ), often something small and cheaper so one can sample a few different foods at various restaurants. The list of specials is over at the 30th Street Blog, but a few of the beer highlights are below. Barrel-aged beers aren’t rare these days. Many brewers are aging beers in oak barrels, often old whiskey or bourbon barrels, or old wine barrels. This can impart all sorts of wonderful flavors on the beers that can’t be achieved with the usual method of fermentation in a glass or metal tank. Mexicali based Cucapá is the first brewery I’ve ever heard of to age beer in tequila barrels, and lucky for us El Take it Easy in North Park had a cask of it last Friday night. I’ve never had Cucapá’s Barleywine but it has a solid B+ rating on Beer Advocate. It was served in a wine glass, chilled but certainly not cold and with no head. The tequila was apparent from the moment I smelled it with an earthy smell. I’m far from being a tequila expert, but I was reminded of a mezcal I once had. It was good, but one of the only ways I knew how to describe it was like the smell of fresh soil. Writing this now I understand this might not sound appetizing at all, but it was quite good. The Barleywine had a similar smell, and while the taste wasn’t that of soil or dirt, it did have some elements of the smell. This was a big, strong beer, which took me quite a while to drink, and the tequila notes got even more apparent as it warmed up. It’s not something I would drink often, but definetly something to search out. Cucapá is said to be aging Barleywine in tequila barrels for a winter seasonal, and Jay Porter of El Take it Easy told me this was a little preview cask of that. I’m unsure if this beer will show up again in the next few months, but it should be around a bit this winter. As of yesterday the cask had been moved down the street to El Take It Easy’s sister restaurant The Linkery and was still flowing. No word on how long it will last though. 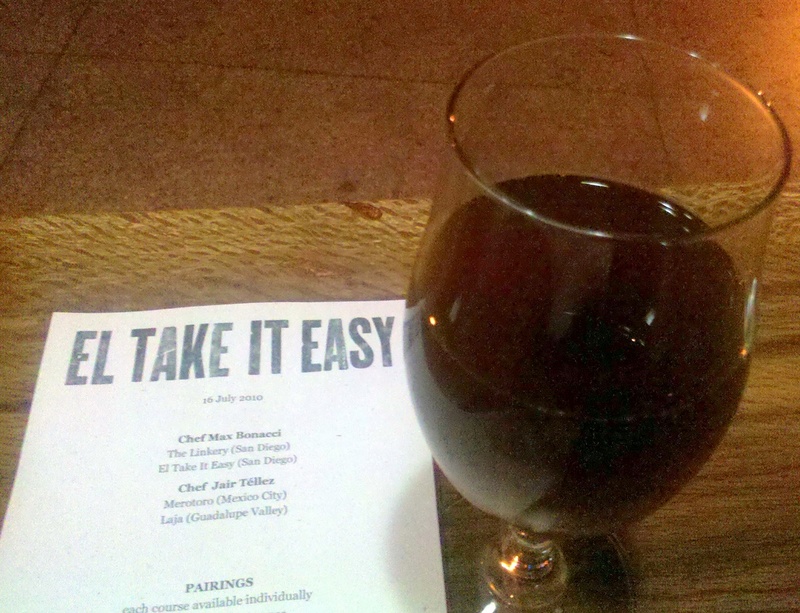 And a few word on El Take It Easy. They don’t have the most extensive beer list, but they do have good beer. I think they have five taps and an occasional cask, and everytime I’ve been they have had at least one Cucapá beer on tap. They have a decent bottle list as well. The front patio, right on 30th Street, has to be some of the best people watching North Park has to offer.